Disney Vacation Club has announced that sales of the proposed, all-new Disney’s Riviera Resort are now open exclusively for Disney Vacation Club Members until 15 April 2019, at which time sales will open to the general public. 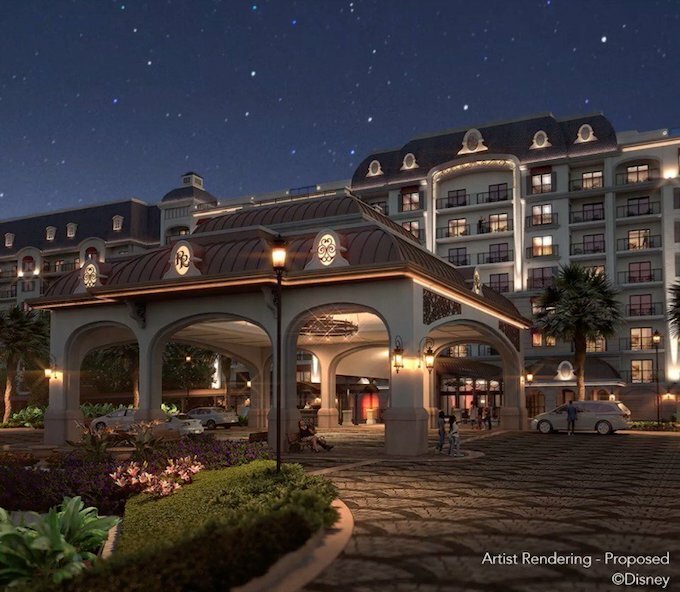 Projected to open on 16 December 2019 at Walt Disney World Resort, Disney’s Riviera Resort is slated to be the 15th Disney Vacation Club property and will immerse guests in the grandeur and enchantment of the European Riviera. The deluxe Disney Vacation Club resort is slated to offer approximately 300 family-friendly vacation homes with accommodation options to fit an assortment of travel party needs. Disney’s Riviera Resort will include deluxe studios, one- and two-bedroom villas, grand villas, that sleep up to 12 guests each, and a new, unique accommodation, Tower Studios. Throughout the resort and inside the accommodation, guests will experience a variety of art including Disney concept art with European settings, posters of Disney films as released in Europe, archival photography of Walt Disney’s travels throughout the region and book titles Walt Disney gathered on his journeys. Additionally, there will be more than 40 signature art pieces created for Disney’s Riviera Resort featuring unique Disney character art inspired by the renowned artistic heritage found along the shores of the European Riviera. The feature pool, Riviera Pool, will offer lounge chairs and colourful sun umbrellas, with a winding stone turret slide, giving the feel of swimming and playing along the Mediterranean coast. For those travelling with young guests, an interactive water play area, S’il Vous Play, is the perfect place to splash and have fun in a whimsical fountain featuring several beloved characters from Disney “Fantasia,” drawing inspiration from the grand public fountains seen throughout Europe with a patina and limestone-inspired design. For guests looking for a more leisurely poolside experience, the Beau Soleil leisure pool will feature a natural, lush-green wall surrounding the tranquil area, creating a semi-private pool experience, perfect for enjoying the sun or resting beneath the shaded seating area in a grove of tropical palm trees. 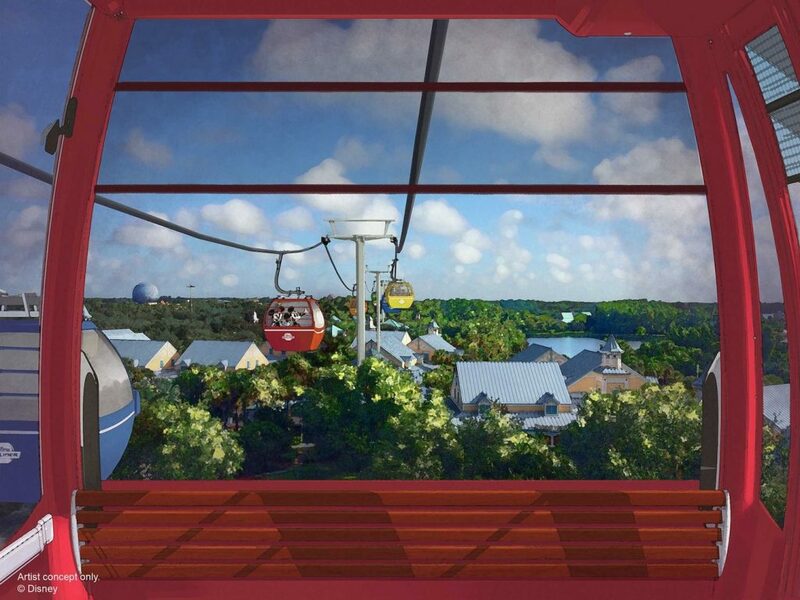 Guests at the resort will have a new way to travel to Epcot and Disney’s Hollywood Studios via Disney Skyliner. Disney Skyliner will not only efficiently move guests to their location, it will also offer a whole new way to experience Walt Disney World Resort with amazing views only available from the sky — with great photo opportunities. Passing through a tunnel archway with sparkling water features, Disney’s Riviera Resort guests will be connected to a dedicated station where they can hop aboard a Disney Skyliner gondola. When operating later this fall, some cabins will feature beautiful graphics based on Disney films, attractions and characters. Once aboard, guests can take a European-inspired ride through the sky to Epcot International Gateway or Disney’s Hollywood Studios. Offering the flexibility, value and world-class service families expect, Disney’s Riviera Resort will be the first all-new, stand-alone Disney Vacation Club property at Walt Disney World since 2004. Staying at a Disney resort hotel like Disney’s Riviera Resort, or any other Walt Disney World vacation ownership accommodation, puts guests inside the magic for the entirety of their vacation. Guests staying at any of the Disney resort hotels experience special features including legendary guest service and unique theming, along with other benefits such as access to FastPass+ selections up to 60 days prior to arrival and the Extra Magic Hours at the theme parks (both FastPass+ and Extra Magic Hours require valid theme park admission). In addition, Disney resort hotel guests receive complimentary transportation around Walt Disney World, complimentary theme park parking, complimentary airport transportation via Disney’s Magical Express service, the convenience of MagicBands, and the ability to purchase Disney Dining Plan packages.